Rosada, K.K., Najia, N., Ningrum, R.W., Astuti, D.I., Suantika, G., Aditiawati, P. 2017. The ability of biofilm community sampled from metal surfaces at saguling hydro power in utilizing carbon sources by using biolog ecoplate™. [full text]. Journal of Biological Sciences. Suantika, G., Putri, A.D., Djohan, Y.A., Azizah, F.F.N., Astuti, D.I., Aditiawati, P. 2017. Impact of Salinity and Light Intensity Stress on B Vitamnis Content in Marine Diatom Skeletonema costatum. Journal of Fisheries and Aquatic Science. 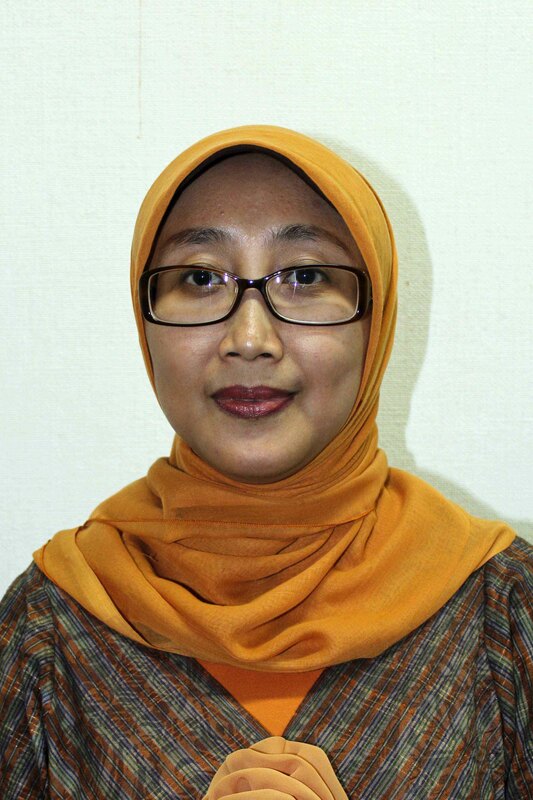 Rahmawati, N., Isfandito, A.R., Astuti, D.I., Aditiawati, P. 2016. Endophytic fungi from surian (Toona sinensis roem) and antioxidant potency from its culture. [full text]. Asian Journal of Plant Sciences. Suantika, G., Muhammad, H., Azizah, F.F.N., Rachminiwati, N., Situmorang, M.L., Astuti, D.I., Aditiawati, P. 2016. The Use of Cyanobacteria Arthrospira platensis and Cladoceran Daphnia magna as Complementary Protein and Lipid Sources in Traditional Diet for Common Carp (C yprinus carpio L.) Nursery. Natural Resources. Fulazzaky, M., Astuti, D.I., Fulazzaky, M.A. 2015. Laboratory simulation of microbial enhanced oil recovery using Geobacillus toebii R-32639 isolated from the Handil reservoir. RSC Advances. Pikoli, M.R., Aditiawati, P. Astuti, D.I., Akhmaloka. 2015. Growth of Moraxella osloensis COK1, a novel strain of bacteria isolated from subbituminous coal, in dibenzothiophene and coal medium. Asia-Pacific Journal of Molecular Biology and Biotechnology. Rinanti, A., Kardena, E., Astuti, D.I., Dewi, K. 2014. Carbon dioxide fixation by co-culture green micro algae through overall volumetric mass transfer coefficient (KLa) of carbon dioxide in closed system. Asian Journal of Microbiology, Biotechnology and Environmental Sciences. Pikoli, M.R., Aditiawati, P., Akhmaloka, Astuti, D.I., Wijayanti, R. 2014. Growth of Bacillus Megaterium CSK2, Bacillus Subtilis CSK3 and Bacillus Subtilis CSK4 isolated from coal mixed soil in dibenzothiophene-containing medium. Asian Journal of Microbiology, Biotechnology and Environmental Sciences. Astuti, D.I., Noviana, Z. 2014. Optimization of fermented tofu with high isoflavone content through variation of inoculum percentages and ratios of lactobacillus plantarum, lactobacillus acidophilus, and leuconostoc mesenteroides. [full text]. Journal of Mathematical and Fundamental Sciences. Dewi, K., Rinanti, A., Astuti, D.I., Halomoan, N. 2014. Preliminary study on biomitigation green house gas carbon dioxide in closed system bubble photobioreactor: Relationship among the mass transfer rate and CO2 removal efficiency in high level of CO2. [full text]. 2014 Jurnal Teknologi (Sciences and Engineering). Rinanti, A., Kardena, E., Astuti, D.I., Dewi, K. 2014. Improvement of carbon dioxide removal through artificial light intensity and temperature by constructed green microalgae consortium in a vertical bubble column photobioreactor. Malaysian Journal of Microbiology. Pikoli M.R., Aditiawati P., Akhmaloka, Astuti D.I. 2013. DNA extraction of mixed culture bacteria from coal-soil mixture cultured by sequential enrichment. Journal of Pure and Applied Microbiology. Aditiawati P., Akhmaloka, Astuti D.I., Sugilubin, Pikoli M.R. 2013. Biodesulfurization of subbituminous coal by mixed culture bacteria isolated from coal mine soil of South Sumatera. Biotechnology. Pikoli M.R., Aditiawati P., Astuti D.I., Akhmaloka 2013. Bacterial diversity in subbituminous coal and soil from coal mine of South Sumatra, Indonesia. International Journal of Integrative Biology. Astuti, D.I., Aditiawati, P., Suantika, G., Karina, L., Nibras, Z., and Azam, A.H. 2011. Production of Biofloc Thalassiosira sp and Achromobacter sp for White Shrimp Culture and Its Potential as Antagonism Agent of Shrimp Pathogenic Bacteria Vibrio harveyi. Asian Pacific Aquaculture, Kochi, India. Halim, A.Y., Juli, N., Astuti, D.I., and Siregar, S. 2008. The EOR Impact of Bacteria from Handil Field in Kalimantan on crude oil from X Reservoir in Java Island. Proceeding Indonesian Petroleum Association, 32nd Annual Convention and Exhibition, Jakarta, Indonesia.